We plant pumpkins in a bare spot on our front Bank. We got 3-4 nice enough pumpkins and then on September 28th, I was cutting down the pumpkin vines to put up the Halloween lights. Deep in a bank of juniper bushes, I saw something big and orange. Totally hidden from view all summer, and cradled by the branches…was the biggest pumpkin of all! I have pictures of it hidden, of it peeking out and of my husband wrestling out. 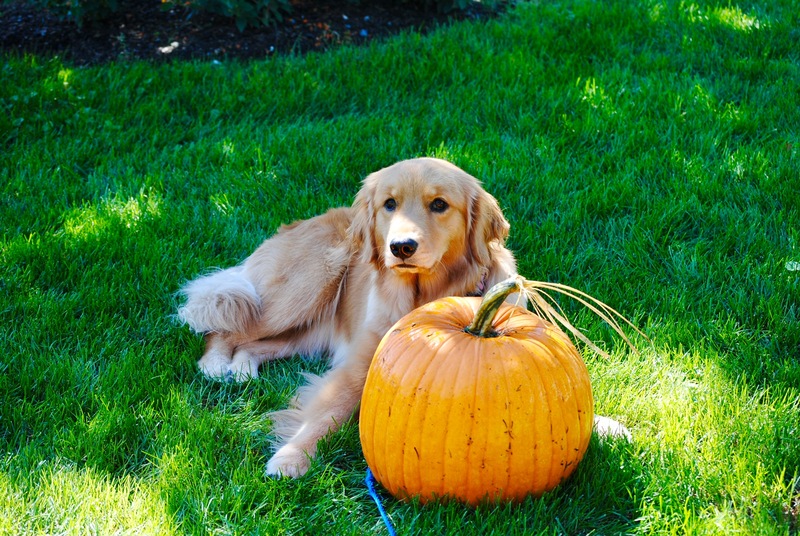 But when we got it into the yard to wash and admire it, our 1 year old golden claimed it as HER pumpkin! It was so cute and the surprise pumpkin hiding was amazing! It won’t let me attach the other pictures…but they are great too!